If you're a fan of goofiness and gangster kangaroos, this is the film for you. 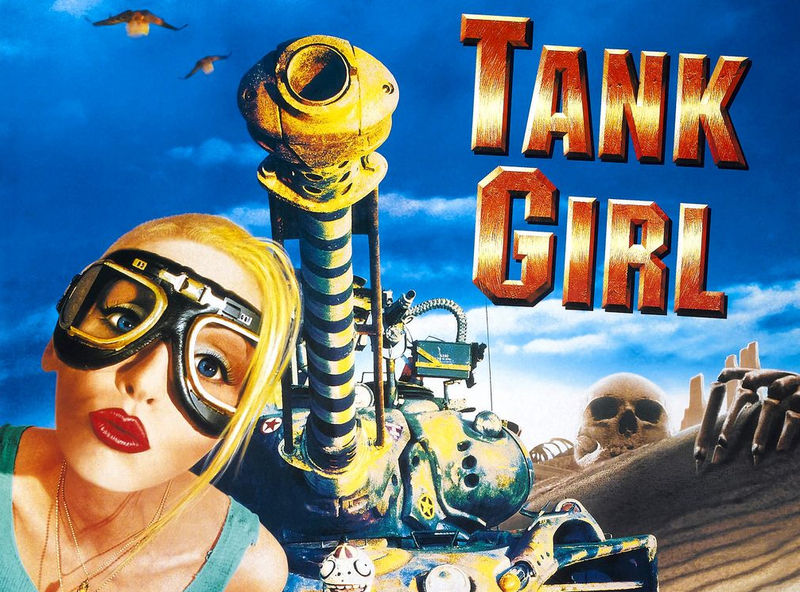 Back in 1995, United Artists attempted to tackle the eccentric yet humorous post-apocalyptic tale Tank Girl as a film. However, it didn't exactly know when to take its hands off the production. As a result, director Rachel Talalay, who knew how to handle the material at hand, probably felt strained, and wasn't able to produce the epic adventure that she wanted to. That's too bad, because even though it's not a dream product, Tank Girl has kind of a quirky flair to it. 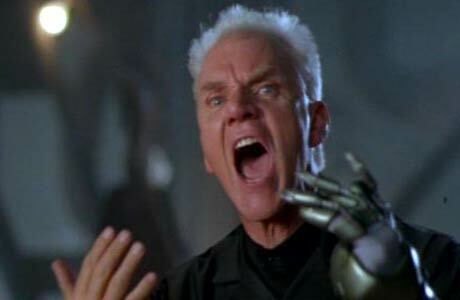 Lori Petty – from A League of Their Own fame – plays a kooky renegade who finds herself captured by a large water conglomerate in the future, run by the power-hungry Kesslee (Malcolm McDowell). 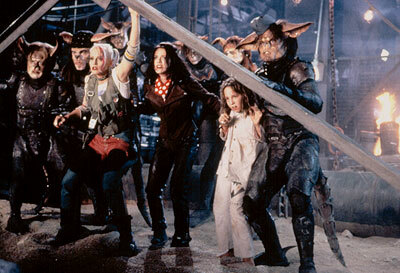 She manages to escape and secure herself an even kookier tank, while also working with a number of allies, including a right hand lady named Jet Girl (Naomi Watts, early in her career) and a group of mutant kangaroos known as the Reapers – led by a particularly vicious one played by rapper Ice-T. Yep, Ice-T as a gangster kangaroo. Now you've seen everything. The main problem with the movie is that it cuts all over the place, between comic book frames and live-action stuff. It never really finds a similar groove to the comics as a result, and the results can be scattershot for some. That makes it more of an interesting failure than the sci-fi camp it was supposed to be, but that doesn't mean it's unwatchable. The action scenes move along at a fairly brisk pace, despite the over-the-top editing, and there are plenty of interesting character interactions. Of course, part of that credit goes to the actors at hand. Petty does what she can with the Tank Girl role, acting just crazy enough to make the role work for her. McDowell, in pure villainous fashion, chews up the dialogue every time he appears, and manages to keep up throughout, despite some weird modifications that happen later in the film. The rest of the cast is pretty game, too. Ice-T, well, acts like Ice-T if he were a kangaroo and attitude-laden, and it's pretty funny. The others are enjoyable as well, and go a long way to justifying big-screen kangaroos since Warriors of Virtue. Now that was a film that was overproduced and under-realized. Despite pacing issues and some truly weird moments – character development isn't exactly this film's strong suit – it's a decent Friday night blast if you're looking for something different. Just don't expect it to "click" together like other comic book movies, especially more recent ones. Tank Girl features some very good video and audio, as the team at Shout! Factory, like always, have managed to restore it to most of its glory. There are times the picture's a little iffy, but never to the point that you'll be annoyed with your purchase. As for extras, there are some great featurettes with discussions featuring Petty and Talalay. The director's is more interesting, if only because she talks about the production and how she still enjoyed being on board. Catherine Hardwicke – the director of the original Twilight – also has a piece where she talks about production design. Finally, an audio commentary with Petty and Talalay have a decent audio commentary, where details about the production's hold-ups are brought to light. It's better suited for fans of the film, though. While Tank Girl isn't everything that it could've been, the performances and action are more than enough to please fans of the genre, even if you have to piece together certain parts to really "get it." Shout! Factory's transfer deserves recommendation, as do the cool extra features, which pay tribute to the film. If you're willing to take a gamble, chances are you'll have a good time. P-p-p-pow!